Traveling in the Sinai Peninsula is an interesting experience. I recall flying into the Sinai twice, and traveling through the Peninsula by bus or car twice. Thoughts immediately turn to the Israelites traversing this wilderness, stopping at Mount Sinai to receive “the Law of Moses, which the LORD God of Israel” gave to them (Ezra 7:6). The caravan traveling here in the eastern Sinai is not carrying merchandise, but is on its way to the resort area of the Gulf of Eilat (or Aqaba). The camels seem to be ready with their saddles to entice the tourists to ride. The little camels are ready for the kids. 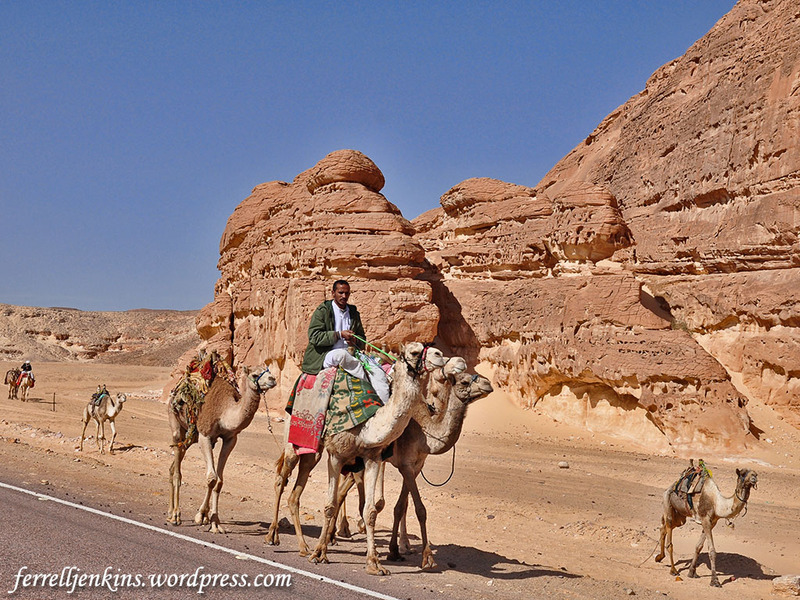 Camel caravan in the Eastern Sinai Peninsula. Photo by Ferrell Jenkins. Several Biblical stories come to mind. Think of Rachel coming from Padan-Aram to southern Canaan to wed Isaac. Or of the sons of Jacob preparing to sell Joseph to a band of Ismaelites. 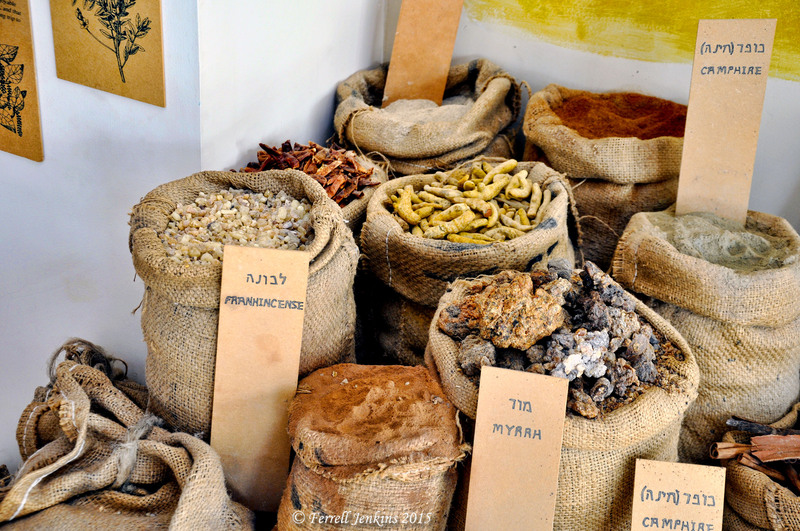 At Avedat in the Negev Highlands of Israel there is a display of the types of goods often transported across the Spice Route by the Nabateans. Frankincense, Myrrh, Pepper, and other spices were transported by camel caravans across the famous Spice Route. Photo by Ferrell Jenkins. This entry was posted in Bible Lands, Bible Places, Bible Study, Culture, Israel, Jordan, Old Testament, Photography, Travel. Bookmark the permalink.